It only takes a small water leak, or even excess humidity, for mould to form in your Guelph home or business. Then, mould can spread quickly through the property in as little as 48 hours. Mould can produce allergens and irritants, and it has the potential to cause other health effects. If your home or business has a mould problem, we can inspect and assess your property and use our specialized training, equipment, and expertise to remediate your mould infestation. Mould spores are microscopic and float along in the air and may enter your home through windows, doors, or AC/heating systems or even hitch a ride indoors on your clothing or a pet. Why Choose SERVPRO of Guelph? 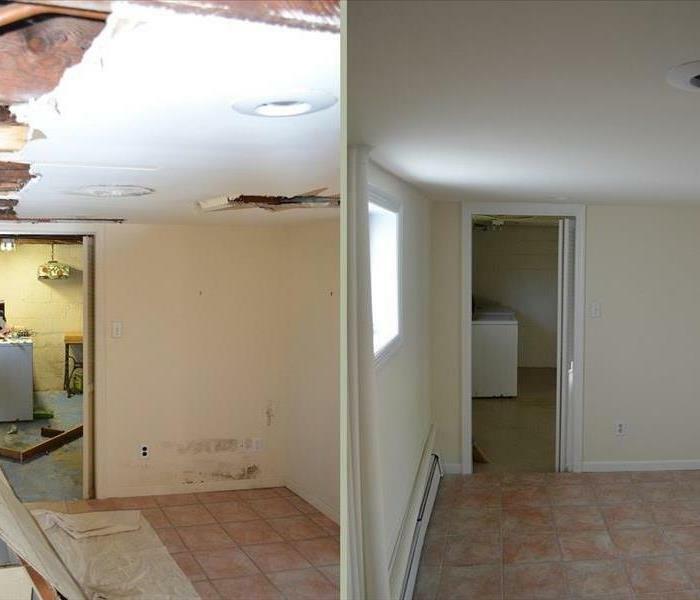 We specialize in water and mould damage restoration, the cornerstone of our business. We have the training and expertise to safely handle any mould situation. We invest in the latest equipment and ongoing mould remediation training because it helps us restore your home or business quickly and effectively. We will isolate the affected area using physical barriers and a negative air pressure chamber. It’s easy to understand why many people struggle to grasp the facts and issues surrounding indoor mould because sensational news stories and advertising cloud and obscure the real issues. Educate yourself with the facts about mould and learn about the mould remediation process. We live and work in this community too; we might even be neighbors. As a locally owned and operated business, SERVPRO of Guelph is close by and ready to help with your mould-damaged property. We are proud to be an active member of the Guelph community and want to pitch in and help make our community the best it can be.